service, sales and repair to Central Arizona since 2004. 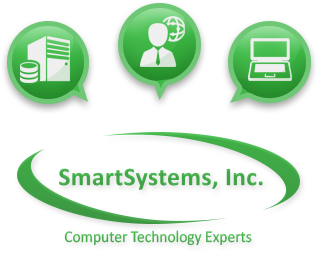 SmartSystems offers a wide range of technology and solutions for your business and home computing requirements. Our professional technicians can diagnose, troubleshoot and solve your issues whether they are hardware or software related. SmartSystems’ certified technicians are available to provide managed IT services tailored to the needs of you and your business. Need help setting up your virtual office? Our technicians specialize in VoIP and virtual office solutions. Need a computer technology expert? Our highly qualified and certified IT professionals are ready to help you with all of your technology service and product needs. In honor of the early release of AVENGERS: ENDGAME at Sawmill Crossing and Theatres (Showing Thursday) we feel now is an appropriate time to resurrect our old, retired @smartsystemsinc theatre commercial. An easy trick to creating a memorable but complex password is to use an acronym. Pick a phrase, such as “I’ve eaten Green Eggs and Ham since December 1969,” and squash it together, maintaining the first letters and all punctuation: “I’eGEaHsD1969″. You can also substitute numbers, symbols, and misspellings: “My son’s birthday is March 9″ becomes “Mi$sun’sbdayiz0309″. Be sure to change your passwords every six months, choosing a completely new acronym each time. Remember: Length is more important than complexity. Longer passwords, even if they’re simpler, are harder to crack. ©2017 SmartSystems, Inc. All Rights Reserved. Unlimited eFax, digital confirmation and easy setup for only pennies a day! Free local pickup and delivery. We will repair Desktops, Laptops, Tablets, etc, in our state-of-the-art, static-controlled facility. We also offer drop-off and pickup windows before and after regular working hours so you don’t have to miss work over a PC repair! Most problems can be fixed remotely. As long as you can connect to the Internet, we are likely able to securely connect to your system and quickly resolve your computer problems. We will come to your place of business and repair your computer issues. We correspondingly troubleshoot and fix networking issues and internet-based fax and phone issues. If it’s computer based technology and it’s fixable…we can fix it. Once it’s fixed we can help you secure it, back it up, and keep it updated. We can help you manage it for your business too! Give us a call and ask our about our free network audit! From architecture to integration to support! Phone over the internet, cheaper than landlines with very little additional equipment. We can set it up correctly! Manage your voice communications, SMS communications and video conferencing all from one app! Advanced features like call forwarding, voicemail to email and more all at your fingertips from anywhere in the world. Invite several users through phone conferencing. We can help you set it up! Hosted VoIP can be awesome, but it can be tricky to get it right, and if it’s not done correctly it can very bad for business. Don’t make the mistake of buying some phones and just hooking them up to your network. If you already have, call us, and we can help you optimally deliver this technology. Provide expert advice and industry standard solutions based on best known methods.